Create Another Revenue Stream When You Add Hurricane, Storm and Security Shutters to Your Product Line! One way to get more sales this year is to start selling more products. But not just any products. Increase sales for your business by providing what your customers need: hurricane protection, storm protection, and reliable security. Yes, storm protection and peace of mind can be purchased – storm and security shutters from Empire Construction & Development give homeowners and business owners building protection they can count on. In recent years, shutters have risen in popularity. Strong, impact-rated shutters allow for quick, easy, and safe storm preparation. Aluminum shutters provide unbeatable anti-theft protection. And now you can start selling these shutters to your current customers – and new ones too – when you become a dealer/distributor of our hurricane, storm, and security shutters. 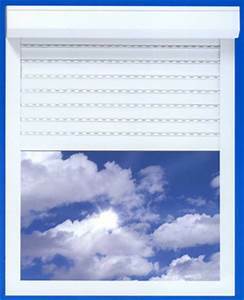 *Accordion shutters, that are great for residential and commercial buildings alike. These shutters are strong, easy-to-use, and priced for every budget. *Roll-down shutters, that make protecting windows and doors from storms and break-ins easier than ever. Our rolling shutters can be easily operated with a manual crank, a standard motor, or an upgraded remote-controlled motor. *Bahama Shutters, that add flair and a color to homes and businesses. These attractive shutters provide continuous shade as well as storm and theft protection. *Colonial Shutters, that enhance the look of a home, hotel, resort or other building. These shutters are available in a wide variety of colors, and are easy to close when window protection is needed. You can make more money as a small business owner or building professional. If you own a home improvement business, help your customers make storm protection and security part of their home upgrades. If you sell windows and doors, add our impact windows and other storm protection products to your catalog. If you’re a contractor or handyman, let your local customers buy high-quality hurricane shutters. When you start selling our shutters, you can create a new revenue stream for your business. Get more information on all of our products here. Joining our shutter distributor network is easy. When you become a shutter distributor or contractor for Empire Construction & Development, we can provide you with product information, marketing materials, business cards, and shutter samples. When you need a price quote for a shutter job, you’ll have access to our online quoting tool and we’ll be here to give you a price quote and answer questions over the phone. Call 888-474-3555 to find out more about selling our shutters, or sign up now to become a shutter dealer/distributor. Get more customers and a new source of revenue when you add hurricane, storm, and security shutters from Empire Construction & Development to your product line. Posted in Business, Hurricane Shutters Distributors, installers, Shutter Distributor | Comments Off on Create Another Revenue Stream When You Add Hurricane, Storm and Security Shutters to Your Product Line! Become a Distributor of High-Quality Hurricane, Storm and Security Shutters! You don’t want to miss out on this opportunity. You can grow your business. You can start selling more products. And you can do it without having to rent more space or buy manufacturing equipment. You can become a shutter distributor for Empire Construction & Development and start selling high-quality storm and security shutters in your area. Hurricane shutter distributors are needed anywhere hurricanes are a threat. The east coast and Gulf coast of the US are threatened by hurricanes every year. There are many homes and commercial buildings in these coastal areas that still don’t have the best storm protection. 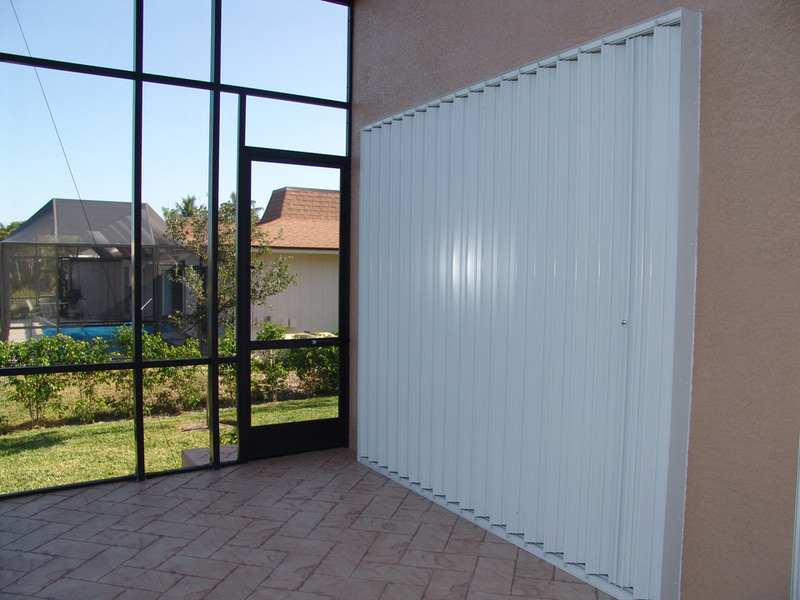 Hurricane shutters can help customers in the Caribbean and throughout the tropics stay safe each storm season. Become a shutter distributor in the US, the islands, and throughout the world when you join our shutter distributor network. Storm shutter distributors are needed to help customers protect their buildings. Winter storms, tornadoes, and other seasonal storms and extreme weather conditions can cause serious property damage. Impact-resistant storm shutters can be used on windows, doors, patios, storefronts and other areas to protect against property damage. If you live in an area where tornadoes or high winds are common, start selling strong storm shutters from Empire Construction & Development. Our shutters are made to withstand high wind and flying projectiles. Our accordion storm shutters are easy to close, and our rolling storm shutters can be made with a motor and a remote-control option for easy closure. Security shutter distributors are needed wherever protection against break-ins, theft, and vandalism is needed. Our affordable security shutters allow restaurant and retail store owners close up securely overnight, and let homeowners protect their windows, sliding doors, and more when out of town. You can start selling security shutters when you become a shutter distributor for Empire Construction & Development. Our shutter distributor network lets contractors, business owners and building professionals sell our shutters. Adding our shutters to your product line is a smart way to expand your catalog, increase your revenue, and offer a needed product in your city or county. When you’re a shutter dealer/distributor in our network, we can provide you with marketing material, shutter samples, and more. We will give prompt price quotes. We will handle the manufacturing and shipping. And our shutter experts will be able to answer any question you have about our products – call: 888-474-3555 to learn more about how to become a shutter distributor. Take this opportunity to grow your business when you become a distributor of high-quality hurricane shutters, storm shutters, and security shutters from Empire Construction & Development. Posted in Business, Hurricane Shutters Distributors, installers, Security Shutters | Comments Off on Become a Distributor of High-Quality Hurricane, Storm and Security Shutters! Add Our Complete Line of Hurricane, Storm, and Security Shutters to Your Product Line! Are hurricanes a threat to your area? Do storms seem to be increasing in frequency and strength in your part of the country? What about security? Are homes and businesses near you as protected as they could be? Have you considered that there may be an untapped market in your city for hurricane, storm, and security shutters? Or, perhaps it’s time to expand your business and profits by adding top-quality storm and security shutters to your product line. Don’t wait for hurricane season to arrive! The time is now for you to take advantage of the opportunity to expand your business and increase your revenue stream by becoming a storm and security shutter distributor for Empire Construction & Development. At Empire Construction & Development, we manufacture custom shutters for hurricane protection, storm protection, security, and more. Our customers in all areas of the United States and throughout the world rely on our shutters to keep their homes and businesses safe. By selling high-quality shutters online at our shutters website, HurricaneShuttersFlorida.com, we help people keep their windows and doors protected during dangerous conditions. And more. Coastal or inland, up north or down south, in cities and in rural areas, our shutters are protecting the homes and businesses of our happy customers. If you want to easily expand your product offerings, you can add our complete line of shutters to your product line. Our storm and security shutters are available in a variety of styles and colors, and are an attractive and valuable addition to any home or business. When you become a shutter dealer/distributor for Empire Construction & Development, your customers will be able to select from our line of storm-rated aluminum shutters and sturdy security shutters. And we have a helpful, friendly team of shutter experts who are here to answer your questions about our products, shutter installation, and more. If your company handles local shutter installation, you may be interested in becoming part of our shutter installer network too. If you want to recommend our shutters online or by word-of-mouth, joining our customer referral program may be a good fit for you. Bring dependable hurricane and storm protection to your area. Let folks in your town get reliable security against break-ins and theft. Allow your customers to choose form a variety of shutters, in the colors they want and the sizes they need. Add our complete line of custom-built hurricane, storm and security shutters to your product line when you become a shutter distributor for Empire Construction & Development. 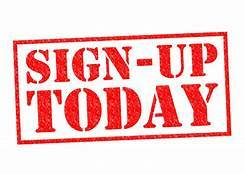 Sign up now or call: 888-474-3555 to become a shutter distributor today. Posted in Business, installers, Shutter Distributor | Comments Off on Add Our Complete Line of Hurricane, Storm, and Security Shutters to Your Product Line! As any business owner can tell you, you’ve got to keep generating new customers to keep up the success of your business. If you’re a contractor, handyman, or the owner of a home repair business, getting customers in your area to contact you is a priority. Gaining a steady influx of new customers is a surefire way to increase revenue and build up the reputation of your company. There is a way to tap into a network of customers near you, who need your services and who have projects ready to go – join the worldwide installer network of Empire Construction & Development. At Empire Construction & Development, we manufacture and ship our storm and security shutters worldwide. Our customers throughout the US, the Caribbean, and around the world are ready to get storm protection and window security for their homes and businesses. These customers often need someone to install their shutters. That’s where you can come in! We partner with contractors, carpenters, handymen, and other certified professionals who want to install shutters locally. When you’re in our installer network, we will be able to recommend your services to a customer in your area who needs shutter installation. If you have experience installing hurricane shutters, you’ll find our durable products are easy to install. If you don’t have shutter installation experience, but are handy and have the right tools, learning to install our shutters will be quick and easy. When you join our installer network, we will provide you with the shutter installation training material you’ll need for all of our products. Installing accordion shutters, rolling shutters, Bahama shutters, colonial shutters, and more for customers in your area can be easy — and lucrative — when you join the shutter installer network of Empire Construction & Development. Installing shutters can help you make more money and grow your local customer base. People may need shutter installation throughout your city, county, and state. New homeowners may need to add storm protection shutters. Business owners may want to increase their window and glass door security by buying strong shutters. Our affordable hurricane shutters and security shutters are a useful addition to commercial and residential buildings throughout the US and worldwide – and you can install them near you as part of our shutter installer network. We also have an active shutter dealer/distributor program for the shutters we sell at HurricaneShuttersFlorida.com, and a customer referral program you can become a part of too. Adding our shutters to your line of products and referring people you know to us can also help you build up your business and boost your income this year. Call: 888-474-3555 and let our friendly team know you’re interested in becoming part of our shutter installer network or another one of our programs. Earn more revenue for your company by joining the worldwide shutter installer network of Empire Construction & Development. If your customers live in a storm-prone area, they need hurricane shutters. If your customers have windows and doors, they’ll need storm and security shutters. With unpredictable weather and security concerns, customers can feel safe with shutters on their home or business. Adding shutter sales to your business can help you diversify and increase your income. Sounds great, but where do you get the shutters? From us at Empire Construction & Development! When you become a storm and security shutter distributor for our longstanding company, you can help your customers get the shutters they need and add another valuable product offering to your small business. *Sell high-quality shutters to their customers, without the overhead cost of shutter manufacturing. We custom-build storm and security shutters at our manufacturing warehouse, and ship throughout the US and internationally. Our aluminum shutters are designed to comply with the most stringent wind codes and building codes in the country. As a shutter distributor for Empire Construction & Development, our entire product line of affordable and durable shutters will be available to you and your customers. We can provide shutter samples and marketing materials to you to help you start selling shutters as a contractor. *Install in your area when customers are looking for a contractor to install their shutters. The southeast, southwest, northeast, northwest, mid-Atlantic, Midwest – our shutter orders are placed throughout the country. When you join our installer network, we can provide you with customer leads for your contractor services. When you join our shutter installer network as a contractor, we will provide you with all of the training material you’ll need to learn how to install our storm and security shutters. Not only will you be able to sell your customers shutters, you’ll be the one who can put them up too. *Refer and earn through our referral program. We will provide you with the shareable links, promo codes and other necessary information to refer your customers and friends to Empire Construction & Development, Corp. online and in person. Referring customers to us lets you earn a commission with each successful referral. Hurricane shutters and security shutters have become popular in all parts of the country, and the market for them still may be growing in your area. It’s a great time to start selling shutters from Empire Construction & Development as a contractor. As a leading manufacturer of custom storm and security shutters, we at Empire Construction & Development will build the shutters your customers need. Maintain your reputation as an excellent contractor by offering homeowners and business owners in your area excellent products. 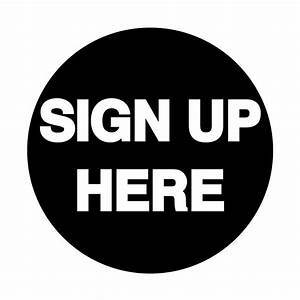 Sign up to become a shutter distributor now, or call 888-474-3555 for more information our hurricane shutter distributor program for contractors.